Each customer can order a maximum of 6pc per SKU for all Giorgio Armani Beauty products. TANGS reserves the rights to cancel any order deemed ineligible. 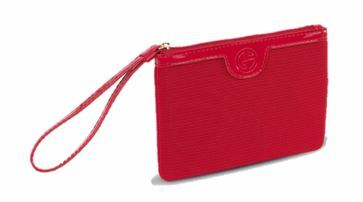 Receive Giorgio Armani Red Pouch with a min. spend of $200 on Giorgio Armani Beauty. While stocks last. 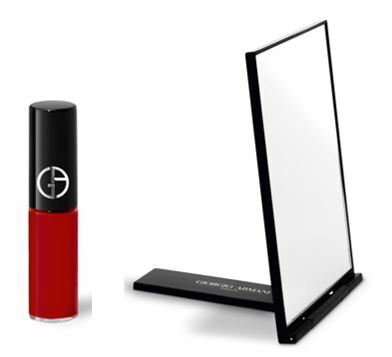 Receive Giorgio Armani Metal Mirror and Lip Maestro Deluxe with a min. spend of $350 on Giorgio Armani Beauty. While stocks last. No.1* Foundation expert GIORGIO ARMANI Beauty introduces the MY ARMANI TO GO THE CUSHION. The essential fashion and beauty accessory offers effortless skin perfection, anytime and anywhere. A new feather light essence-in-foundation is located in a pillow-soft cushion compact, care for skin in the long-term. It's weightless and comfortable, with natural silk glow finish. Available in 6 shades tailored for Asian skin. - Skincare essence: Enriched with skincare essences which deliver 18 hours of thirst-quenching nourishment. The skin is instantly protected by the presence of an SPF23 filter. - Color essence: A tailor-made formula for a long lasting finish. Coverage is buildable for day and night or even the most fleeting of touch-ups. - Light essence: Liquid Biron brightens, silk-in-sphere technology lends the face a soft-focus glow. - A new pointed applicator: A newly designed applicator allows users to reach every angle and corner of the face with the utmost precision and ease. The bouncy-soft applicator smart fabric - a soft, smooth neopora - picks up the perfect dose, skin feels comfortable and caring, with antibacterial. Skin is instantly transformed with one simple gesture. Backstage tip: Apply before your complexion make-up, on top of foundation on cheekbones, temples and between brows to create a hydrated natural glow and day-long lasting make-up effect.